Over 2000 people took a change to see the collection and interior of the new Museum that had a free entrance after prime minister Rajoy opened the museum. The ‘Pop-Up’ version of France’s famous Pompidou Centre opened its doors in Málaga yesterday, marking the birth of a new concept the Paris museum hopes will spread around the world. Dubbed the “Pop-Up Pompidou” but officially named the the Malaga Pompidou Art Centre, the new museum will be a feature of the city’s arts scene for the next five years. It will house a collection of some of the best works on loan from the Paris museum, including pieces from the likes of Francis Bacon, Chagall, Magritte, Picasso, Max Ernst, Julio Gonzalez and Brancusi. There is also a space for temporary exhibitions and events devoted to dance, performance, the spoken word and cinema. Housed in a new building, named “El Cuba” near the city’s marina, it is hoped the temporary museum can cash in on Malaga’s already thriving arts scene. The birthplace of Picasso, the Andalusian city is already home to a number of well-known art museums and welcomes some 4 million tourists annually. But, according to the Pompidou Centre’s president Alain Seban, the new museum will also act as a “full-scale laboratory” for testing a new idea that he hopes “will develop all over the world” – that of using temporary museums to showcase art work to people from all over the globe. It is hoped new “Pop-Up Pompidous” will be set up across France and abroad in the future, said Seban. “This is the ideal time for agile, imaginative projects. We can take initiatives that continue along this path without needing to construct any new buildings. 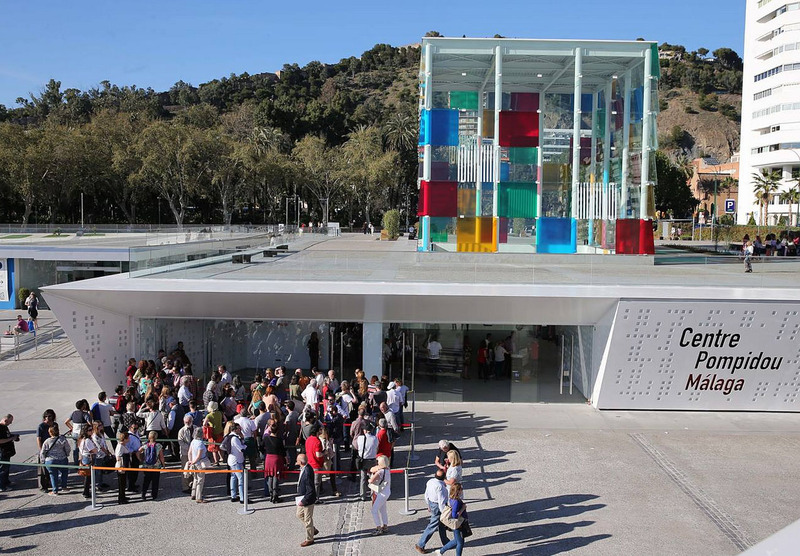 The Pop-Up Pompidou is one of them.” Malaga will pay the Pompidou Centre between €1 million and 1.5 million each year for the right to exhibit works from its collection and use its name and logo. In return, it will receive all revenue generated by the new museum. The Malaga branch of the Pompidou is just the latest example of some of France’s best-known museums and galleries seeking to spread their influence abroad. The Pompidou Centre has already set up a branch in the French city of Metz, which has attracted close to 2 million visitors since it opened in 2010. The Louvre, meanwhile, opened a site in Lens, in northern France, in 2012 and plans to open a colossal new museum in Abu Dhabi next year.